Brief Synopsis – A man starts a lumber company and forsakes other aspects of his life and begins to regret things decades later. My Take on it – This is the final film on my list of films to watch that had an actor nominated for Best Supporting Actor at the Oscars. The overall idea of this film is quite interesting yet it is presented very poorly. 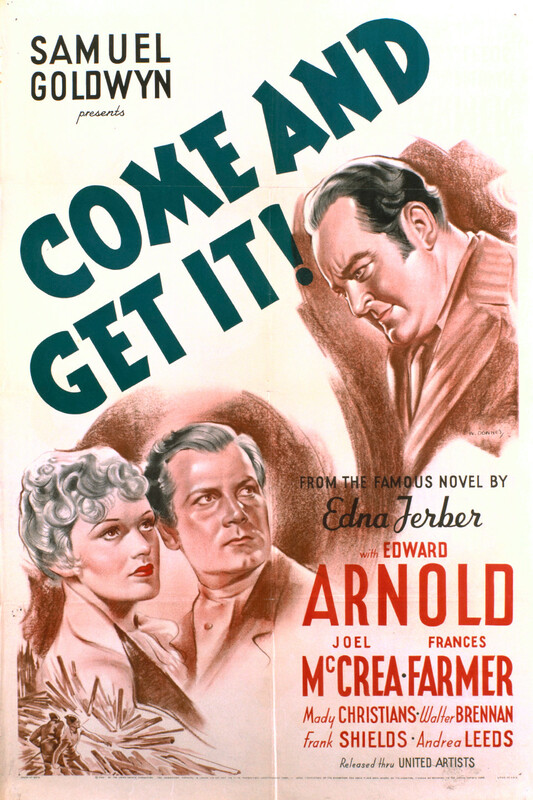 Edward Arnold is fine in the lead role but he unfortunately isn’t an actor who is able to give such a commanding enough performance here in this role. The rest of the cast is also ok, but the standout is Walter Brennan who won hois first of 3 Best Supporting Actor Oscars for his performance in this film. The scenes shown depicting the way that they chop down and transport the lumber is quite spectacular to watch and it’s quite surprising that they were able to film such an amazing thing so beautifully and graphically. The story itself is a bit slow and at some points drags too much. It also gets into some very strange soap opera-py scenarios which also takes away from things. Bottom Line – Interesting idea that comes across as being a bit lackluster. Arnold is fine in the lead role but doesn’t give a commanding enough performance in the role. Brennan is the obvious standout among the rest of the cast and managed to win his first (of 3) Best Supporting Actor Oscars for his work on this film. The lumber scenes are shot magnificently and it’s amazing to watch them on film shot from over 80 years ago presented so beautifully and graphically. The story itself gets a bit too soap opera-py and there are too many scenes that drag too much which hurts the film a lot.